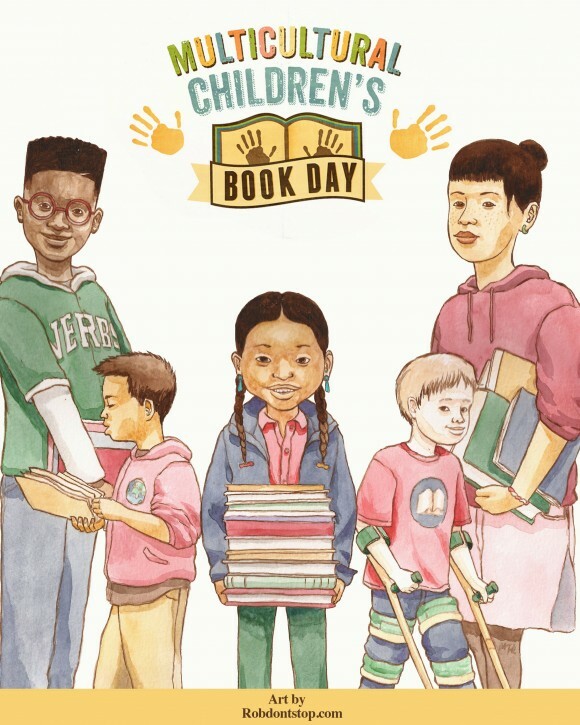 Today, January 27, 2016, is Multicultural Children's Book Day, a celebration of diversity in kidlit. Check out multiculturalchildrensbookday.com to find diversity booklists for kids and a Linky where you can suggest resources yourself (perhaps Jewish resources). And be sure to Google #ReadYourWorld to find links to multicultural children's book reviews and reading suggestions. 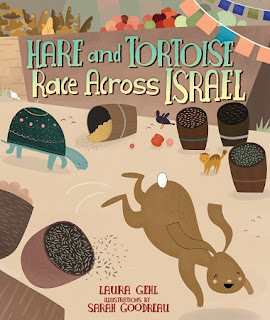 In the spirit of the Day's hashtag, #ReadYourWorld, I'm posting my interview with Laura Gehl about the picture book Hare and Tortoise Race Across Israel, a story that showcases the diversity of Israel's geography and people (including anthropomorphic animals among humans), and imagines a world in which friendliness prevails. 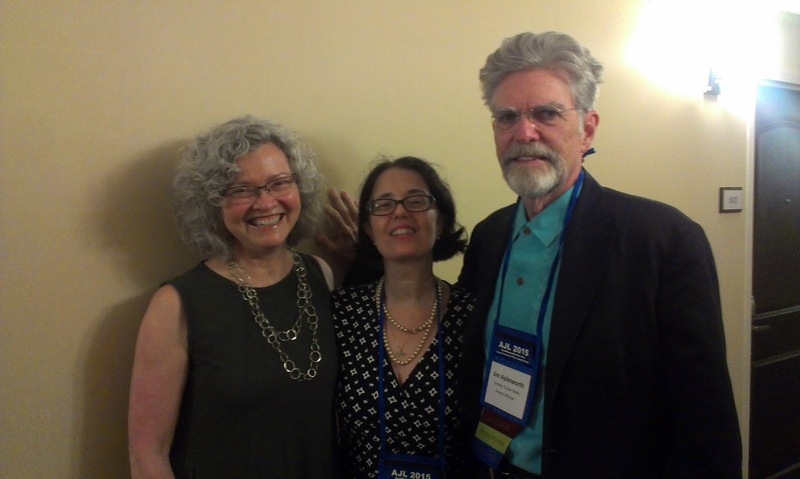 I met Laura at the 2015 Association of Jewish Libraries conference in Silver Spring, MD. 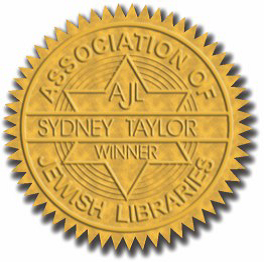 Lesléa Newman and Amy June Bates, author and illustrator of Ketzel, the Cat who Composed, Aharon Appelfeld, Philippe Dumas and Jeffrey M. Green, author, illustrator and translator of Adam and Thomas, and Laura Amy Schlitz, author of The Hired Girl, are the 2016 winners of the Sydney Taylor Book Award. Click here for a pdf of 2016 winners, honor books, and notable books. My Grandfather's Coat won the 2015 Sydney Taylor Book Award gold medal in the Younger Readers' Category, and I was thrilled to meet author Jim Aylesworth and illustrator Barbara McClintock, along with their editor, my old friend Dianne Hess, at the Association of Jewish Libraries conference in Silver Spring, MD. The conversation was like a meeting of the Mutual Appreciation Society, because these are three of the nicest people you'd ever want to meet. 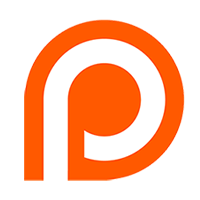 I'm sure you will enjoy hearing their stories on the creation of this book, which is a new version of the folktale represented by Joseph Had a Little Overcoat (Sydney Taylor silver medal, 1999) and Something From Nothing (Sydney Taylor gold medal, 1992). 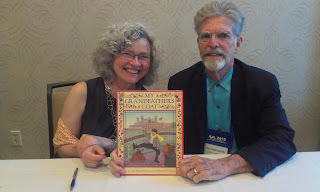 Bonus Track: You'll also hear Jim Aylesworth's delightful conference session, in which he "walked the walk" by getting librarians to stand in for students in an interactive presentation. The 2016 Sydney Taylor Book Awards will be announced this month - watch this space for details!